I write to you with tears in my eyes, and a very, very, heavy heart. If this goes ahead I doubt you will be sending me articles about beautiful Jamaica! I doubt the island I intend to spend my twilight years in will be very beautiful! How is this happening? How are the people being duped like this....carrots dangled in their faces thinking it's all for their good!? Thanks for bringing this to my attention. I am just learning about this so I will surely be reading the article to get a better understanding of this. If this is as I am getting from you then we certainly have some cause for concern. I'll also post your submission for others to read and comment below. All modern countries are doing away with energy from coal. Has Jamaica forgotten the Paris agreement? Were they not there? With energy from coal fired plants, will come Lung illnesses, Asthma and all associated complaints. Jamaica has not enough Capital and will not be paid enough to give the people the proper medical treatment required against their ailments that the Jamaican Parlament is importing into the Island. Have we Jamaicans lost our minds, allowing countries to export to us that what they do not want in their own countries? May the good Lord implant enough intelligence into our leaders. Hell no coal plant in Jamaica, it will soon be the most dirty island in the caribbean. This should not be allowed, china is so dirty from burning coal they are turning to Solar, no coal plant in Jamaica please, none, this need to be stopped right now. When is the government going to stop selling out Jamaica, instead of trade marking and branding so the country can benefit from all the good things in Jamaica, they sell. the country is so corrupt that they are selling their souls and the country to line their pockets. Coal mining why would any government in their right mind agree to such venture, isn't it enough that Jamaicans are killing off each other daily where in pretty soon there will be no real Jamaicans on the island they are agreeing to one of the most pollutant industry so the air will now be the killer. Never thought I'd see the day where Jamaica has gotten so deplorable where I don't even want to tell folks that that am from that country; I dread going home. The Chinese vendors are rude to their customers yet they flank to their stores and by pass shopping at a Jamaican own shop. Talk about the Willie Lynch mentality thats where Jamaica is at. GOVERNMENT DO THE JOB YOU WERE ELECTED TO DO AND WORK TO SAVE THE ISLAND AND IT'S INHABITANTS AND NOT JUST THINK ABOUT LINING YOUR POCKET. JAMAICA what are you thinking. Research Research Research. I do share the sentiments of those who have already shared their concerns of this action to the land we love. It is by far a wrong move/decision by any country to take on the destruction from another country to their own for financial gain, with no regards for their people, much less themselves and their families. Sad, very sad, if this business deal moves forward to fruition, so we shall pray against it being successful. May every aspect of this deal fall apart at the seams. Save the beautiful country I long to see again. After reading the comments, hopefully those in charge in Jamaica will come to their senses. If Jamaica is willing to give up the proceeds from tourist...then go ahead. 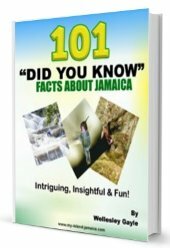 Tourists will NOT wants to come to Jamaica where the air is filled with coal dust. I wonder how much compensation of those in charge making this decision will receive! Seems that your beautiful country will undoubtedly swap pollution and let the foreigners take over. Doesn't the government ever wonder why the Chinese don't stay in their own place and stop polluting other countries? Makes me so sad that the government would be willing to give up tourism for a few dollars. Do you even wonder why the Chinese don't do this to their own country. You will be trading clean air for the pollution no one else wants and all for the mighty dollar.Shame on those in charge. I wonder how much under handed those in charge will be paid for this terrible decision .After once living in Jamaica a long time ago I will no longer yearn to return to the beautiful country I once knew. the govt. sold jps, air jamaica, the hotels and beaches just to name a few things. we are being sold off and it soon will be only people left to sell. dont be surprised if we wake one day to find china owns jamaica. 80% of supermarkets in every major township they now own and when they buy real estate they dont sell it back. if the govt had to require a petition for them not to mine blue mountain what else do you need to know? Are there details on how to stop this? It is critical to our lives now and in the future. This was on the electronic media for quite some time now. There was even a petition, I believe, to be signed to stop this but I guess there was not enough signatures or interest generated in the subject. And I also believe because of the proposed coal factory, that was what gave rise to the petition (a new) for the government to declare the Cockpit country a heritage site and to declare the boundaries. The Chinese has brought out the bauxite company with the intention to turn it into a coal mining facilities. Beijing has removed all its factories including coal mining, outside of its area into the countryside however it is still affected by the smog which results in the residents of Bejing wearing smog masks. We the people of Jamaica cannot allow this to happen here. I find that in todays society there are governments that refuse to admit that coal will and has been the death of thousands of people, so in this regard I find it totally unacceptable that the country that has been a place where visitors go for the clean health air and to soak up the love of its people that any part of the Jamaican government would find coal fired plants to start up is both criminal and without a doubt plain stupid. each citizen should barrage their elected official with the threat of not ever being elected again. I wish the people of Jamaica much good luck. It is as bad and worse. Once started they will just move from one plant to the next.If they are closing some of their coal plant they will have to find new markets for their coal, which they have a lot of, and who better to pass it off on but the likes of Jamaica who as the ambassador wrote has an " overeagerness for a panacea for economic growth". these are the things we should be petitioning for. Carib cement is using coal and they will increase the usage if the Chinese are allowed to use it, and they are in the heart of kingston. What happened at Riverton in 2014 is what all of us will have to live with everyday. "Take sleep mark death". Please don't allow the quick money that China is giving the Jamaican government destroy the long term beauty of the island. When it comes around coal China has created horrible smog filled cities and has ignored many international requests to reduce its carbon footprint. Do a Google search Chinese smog! Please don't allow it to happen to your beautiful island. Please for God sake, don't allow this plant to open in Jamaica. I would not be able to return to my Island home!!! I was never able to stand the fumes and particles emitted from my neighbours little coal kilns, when they were burning them back in the days. Now I am older and have developed severe reactions to environmental allergens. I would never be able to enjoy my country. The Chinese are focused on making money. A clean environment is not important to them. The norm in China is for the people to walk around in masks, all day because of pollution. The powers that be in Jamaica knows this. Think about the health issues that they are going to unleash on the people. Especially the very young and the elderly.I can't tell Jamaica not to allow investors, but please do it with the well being of the people at heart. Jamaica is a beautiful country that many Jamaicans simply cannot appreciate. Having a coal plant would lessen that beauty in so many ways. And, it is not necessary. Nobody wants a coal plant in their area because of the pollution. In Jamaica the only thing Jamaica needs is to (1) get away form Foreign investments when you can. [Not always possible but the country should try]. (2) Invest heavily in solar and wind energy. That is the best long-term investment Jamaica can make. (3) Educate Jamaicans as to how beautiful a country Jamaica really is by constantly showing a comparison in the QUALITY of life in Jamaica as opposed to other countries [not the making of money – there's a difference]. I'll bet most Jamaicans believe that America is a FREE country with a Free press. The facts state that Jamaica has more of a free press, #14 in the world, as opposed to the USA which is #43. China wants to build a coal plant in Jamaica because the pollution in many of China's major cities is horrible. "The thoughts of Microdac"
I am Jamaican born residing in the UK. I read your article with grave concern. Our beautiful Island would be destroyed. Our people would become sick and there would be no future for our children. How can this be allowed to take place? What are the politicians response to this when they are supposed to protect first of all, the people of Jamaica and also our country. Our country is loved by so many people who go there frequently on vacation. I myself go almost every year to see my family. We cannot just sit back and allow the Chinese to come in and destroy Jamaica. Here is a quote from Edmund Burke who was an Irish politician: "The Only Thing Necessary for the Triumph of Evil is that Good Men Do Nothing"
I am of Jamaican heritage, living in the UK, my soul is still in my Island country. Now, why is it that all so-called "First world" countries are getting rid of fossil fuel and the power that be in Sweet Jamaica is allowing this to happen? These Chinese as a nation, are Users and Abusers - look at the mess and exploitation they have created in Africa - Must Point Out Here - I LOVE MY JAMAICAN CHINESE - but China as a nation look on us as fodder. PEOPLE OF JAMAICA - PLEASE STAND UP FOR OUR BEAUTIFUL ISLAND< OUR PEOPLE AND OUR CHILDREN'S FUTURE. "FORWARD FOR THIS GENERATION." I do believe what that person is saying let’s not beat around the bush here China as taken over the country and made it into a little China to be used and abused with the local people in it. take control of our important assets in Jamaica to control for themselves how their want things to run. Jamaican people should stop the talking and come together as a people and lobby the government until something is done abou it because the Chine do not care about the people in Jamaica only money talks. The proposal to turn the former Alpart bauxite works at Nain into a coal-fired electrical generating plant is absurd. Under the proposal, the Chinese would unload low-grade coal at Port Kaiser, run it by train through the agricultural area around Bull Savanah and Aligator Pond to feed the plant. They would also need to control the deepwater well at Duff House to provide for the steam generators. The well is now relied upon heavily for agricultural irrigation in the valley. The power plant would emit carbon-laden smoke which would follow the wind direction up from the south and sweep particulate into the Saint Elizabeth agricultural area around Santa Cruz and as far west as the headwaters of the Black River. Smokestack effluent will also affect the dairy industry in Saint Elizabeth which lies just north-west of the Nain plant. One should ask why the Chinese, who are currently switching over from their own coal-fired power plants to wind-generated electricity, should unload their surplus coal on Jamaica. It is no secret that China has begun to suffer from the unabated use of coal-fired power generation to a point where the respiratory health of its own population is affected noticeably and visibility at ground level within cities like Beijing is often limited to a quarter mile. China would do better to provide Jamaica with wind generators to add to the wind farms that have already been established in the Carpenter Mountains, or perhaps set up new wind farms atop Pedro Bluff or up around Malvern. Developing coal-fired power sources at this time with the emerging facts on the causes of global warming seems rather short-sighted. Should Jamaica not be looking into renewable and environmentally friendly energy sources rather than being pawns in the global economic strategy of a nation that is currently directed by a committee of political mandarins with a hidden agenda? Sadly, the rapacious greed of the coal-mine owners is not restricted to the USA. Jamaicans know well the history of bauxite mining in the nation. This is more of the same--economic colonialism, to extract every last penny of profits, without care for the health or welfare of the people of Jamaica. A coal burning industry in Jamaica will ruin forever the tourism, the health of those who live in Jamaica and the natural beauty you currently have. If you have ever lived in a location inundated with the smoke, the coal dust, you will undoubtedly live with chronic breathing problems, dirty air and a general health decline. As a child I grew up in a home that had a coal furnace, Yes, we were warm, but my sister and I were constantly sick with 'bronchitis' and having to sleep with a vaporizer in the room in order to breathe. NOT WORTH IT.Even today I am troubled with respiratory problems from time to time. WHY ARE WE HUMANS SO GULLIBLE WHEN WE ONLY HEAR 'THE GOOD STUFF' AND NEVER QUESTION WHAT THE RESULTS MAY BE? M.M. Walker.